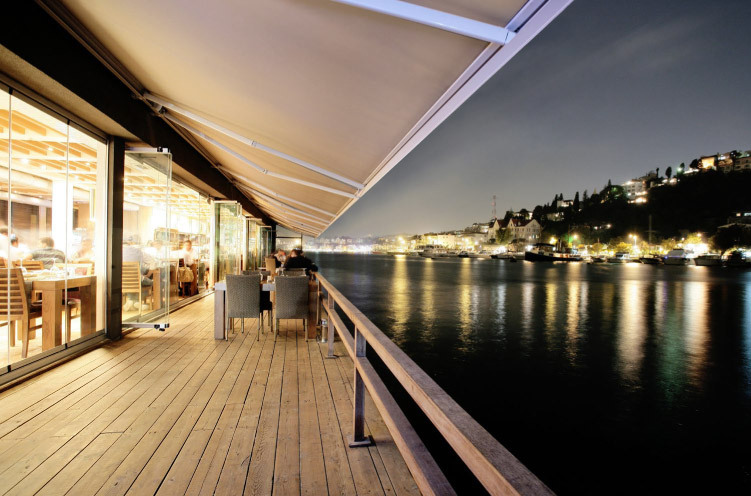 Our functional and innovative awning systems are distributed all over the world as ready-to-install products or as components. 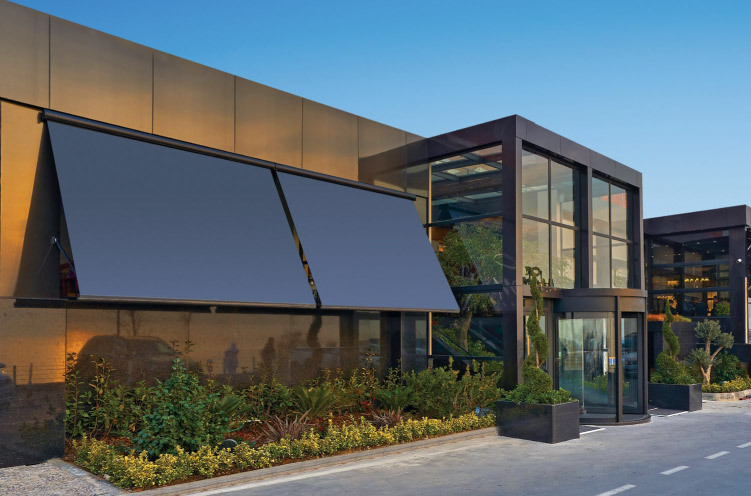 With the beautiful two colour design, we hit exactly the need of modern customers, that are looking for state of the art awnings systems. PENTE is a drop arm awning fully protected by means of its cassette. Its slope angle can be adjusted steplessly up to 180 degrees which allows you to catch or block the sun rays as you like. Projection of PENTE is proportional to its arm length. 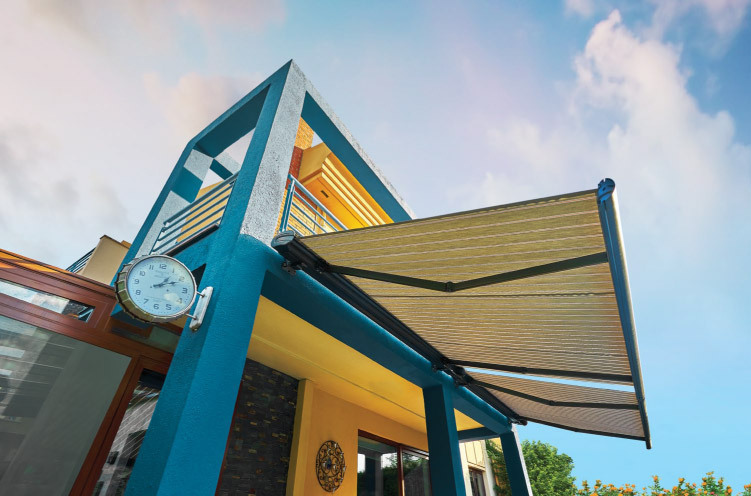 Liberty is a standard awning and economical model bringing together elegant lines and high quality. This product is standardly available in a manual version, having the motor as an option. The product includes stainless steel and aluminium components. PLATINUM is the most advanced, modern and functional model of its class. Equipped with a full cassette system, it is remotely controlled as standard. This product sweeps the fabric with its cleaning brush during retraction to achieve perfect closure.